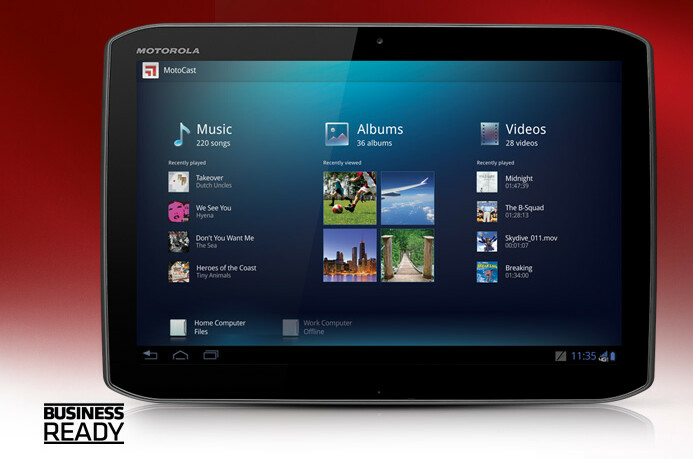 The Motorola XYBOARD 10.1 tablet with Wi-Fi has some accessories that turn the device into a laptop. Using a QWERTY keyboard dock and a mouse, the XYBOARD 10.1 transforms itself into a lap top with a 10.1 display. 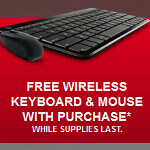 While supplies last, the manufacturer is making it easier to make this transformation by offering both the QWERTY keyboard and mouse for free with the purchase of the tablet. The 16GB model is available for $499.99 and the 32GB variant goes for $599.99. The deal is available online and two-day shipping is free. The Motorola XYBOARD 10.1 with Wi-Fi offers a 10.1 inch IPS LCD Gorilla Glass screen with resolution of 1280 x 80 and a pixel density of 149 ppi. Under the hood is a dual-core TI OMAP 4430 1.2GHz processor with 1GB of RAM on board. A rear-facing 5MP camera with LED flash and AF captures video in 720p at 30fps, while a front-facing 1.3MP shooter takes self-portraits and enables video chat. And if you can get your order in before Motorola runs out of the accessories, the free QWERTY keyboard dock and mouse will allow you to turn the tablet into a laptop whenever you need one. Motorola promotes the tablet as being "Business Ready," and the free accessories certainly help make that assessment true. Motorola should have beefed up the specs more with this tablet. i think the Xyboards are the second best in the States next to the T-Prime. they're just overpriced. i still want a Xyboard 8.2. Going head to head with the new iPad at the same price point is silly. Even if you don't like Apple tablets, it's hard to beat the retina display for the same $499 price. it's not a whole lot better though. i think it's industrial build quality and more reliable radios make this a more viable alternative for people who travel and the Transformer Prime is more for the Android die-hards that will mostly use their Tablet at home. Such as myself. I can agree with you on that point. But one thing is that the Transformer Prime has better specs than the Xyboard and looks more professional.